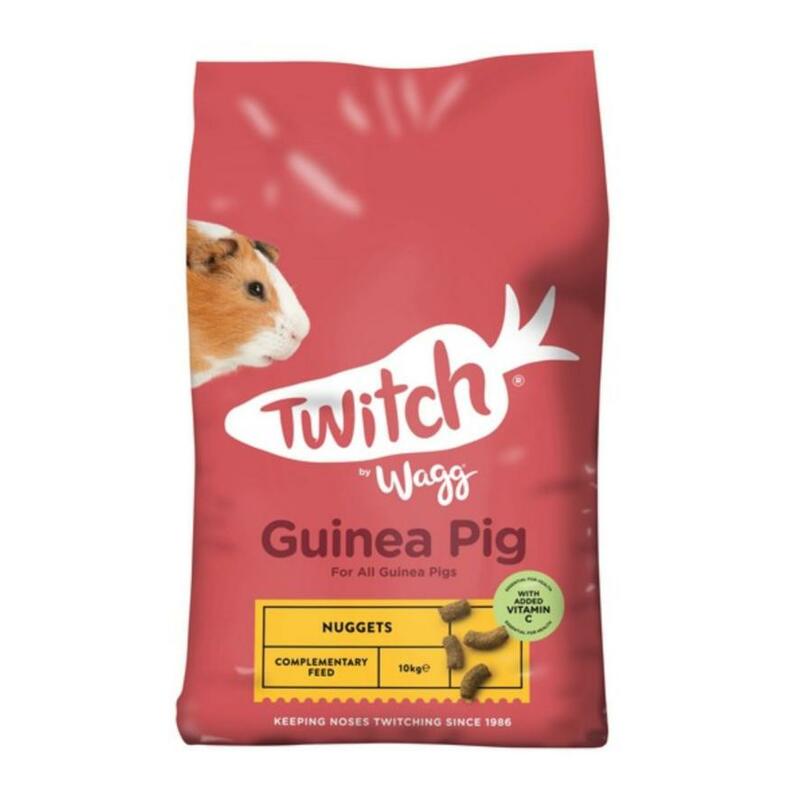 Carefully formulated to provide balanced nutrition for feeding alongside 85% hay or fresh grass for a complete diet, Wagg Twitch Guinea Pig Nuggets are made with premium quality ingredients, ensuring optimum nutrition with every bite. Designed to promote health, vitality and wellbeing in all guinea pigs, Wagg Twitch Guinea Pig Nuggets are made in Britain with a new and improved nugget formula. It helps promote healthy digestion, with a high fibre content of 19% meeting the nutritional requirements of herbivorous guinea pigs. It also contains yeast extracts including prebiotic MOS to keep your pet’s digestive system healthy and promote a healthy gut flora, and added Vitamin C, essential in a guinea pig’s diet to prevent deficiency and health problems. Containing a variety of high quality key ingredients, Wagg Twitch Guinea Pig Nuggets provide an all-in-one pellet formula, promoting easy and convenient feeding. 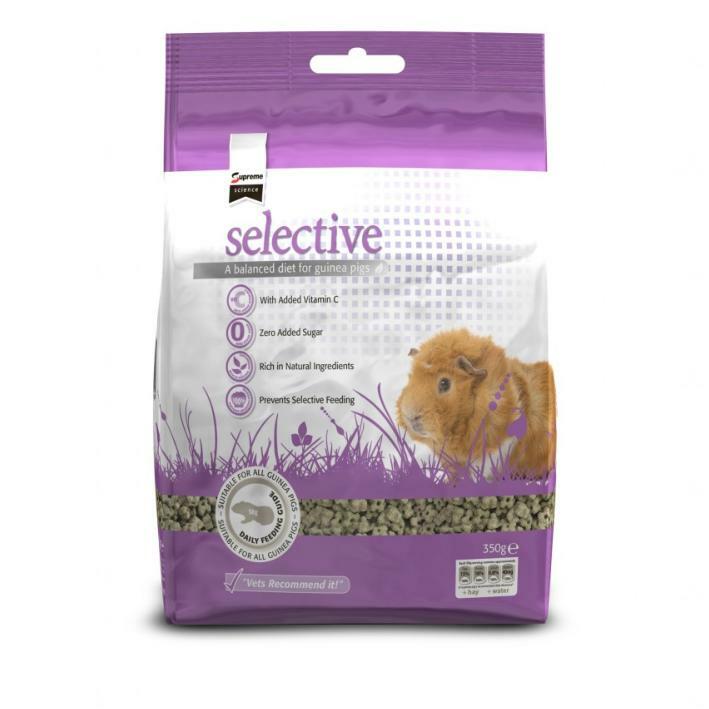 Pellet foods help prevent deficiency symptoms in pets, ensuring a balanced diet is consumed rather than your guinea pig picking out the tastier, sweeter ingredients only which often happens with muesli style blends. 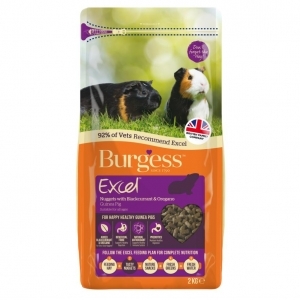 It promotes a balanced diet and optimum condition, ideal for feeding alongside the core nutritional feeds for guinea pigs which consist of 85% hay or fresh grass. Composition: Oat Fibre, Wheat Fibre, Sunflower Meal, Grass Meal, Carob Bean Meal, Apple Pomace (2%), Calcium Carbonate, Peas (1%), Linseed (1%), Vegetable Oil, Minerals, MOS (0.05%). Nutritional Additives/kg: Vitamin A 15,000 iu, Vitamin D3 1,500 iu, Vitamin E 90 mg, Vitamin C 250 mg, Zinc (Zinc Chelate of Amino Acid Hydrate) 20 mg, Manganese (Manganous Oxide) 30 mg, Zinc (Zinc Oxide) 30 mg, Iron (Iron Sulphate Monohydrate) 10 mg, Copper (Copper Sulphate Pentahydrate) 6.25 mg, Iodine (Calcium Iodate Anhydrous) 1.5mg, Antioxidants.